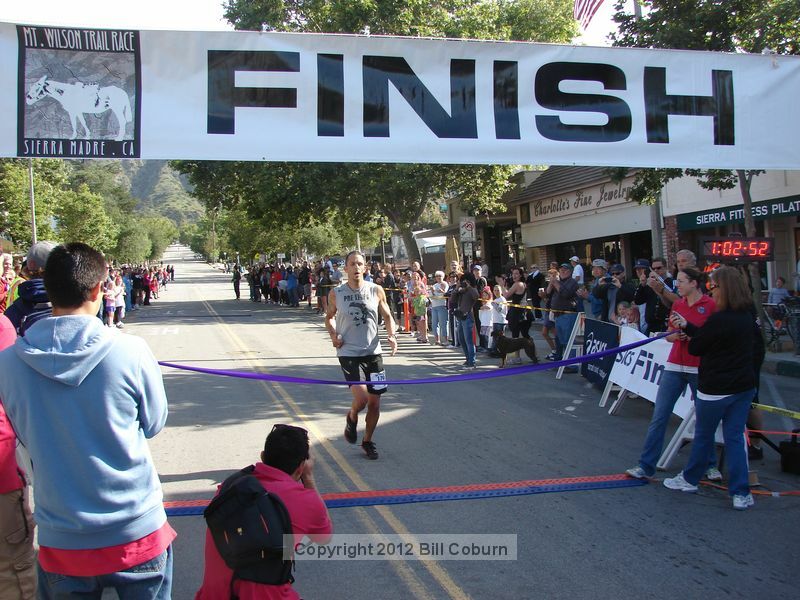 Originally Posted 1:08pm, 5/26/12, Most recent update, 7:05am, 5/31/12, links to photos and videos below – Thirty-eight year old Jon Clark of Rancho Santa Margarita won the Mt. Wilson Trail Race, with a time of1:02:53. 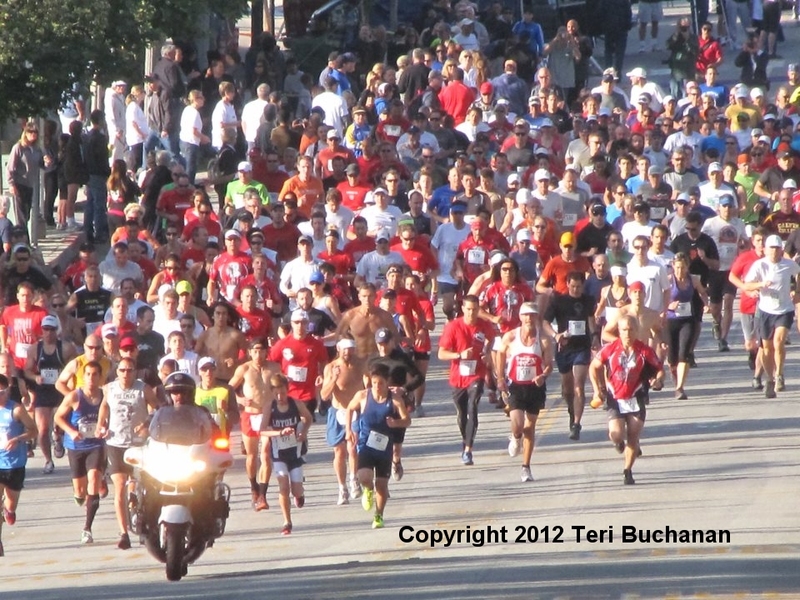 Michelle Barton of Laguna Niguel was the first female overall, with a time of 1:19:38. She was 26th overall. Sixteen year-old Sierra Madrean Aaron Zambrano placed second, with a time of 1:03:45, and Eli Rodriguez (no city listed) came in third, with a time of 1:04:09. 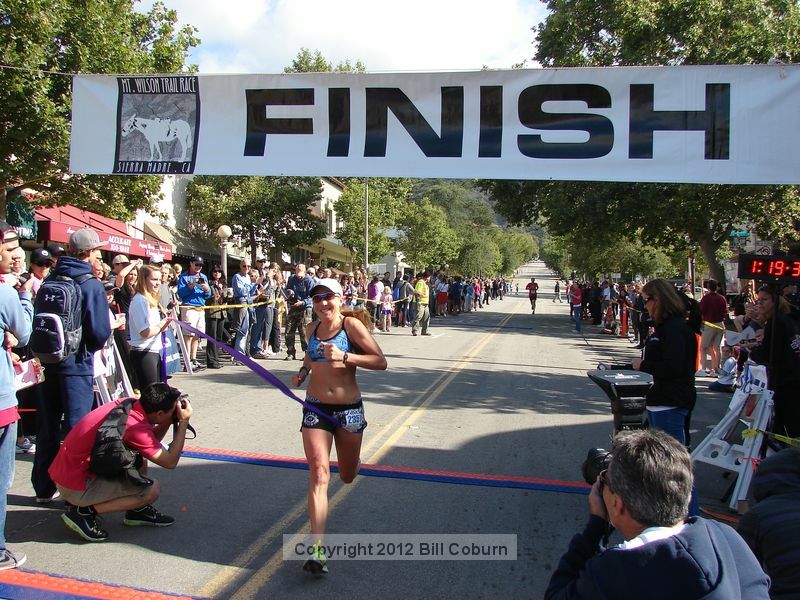 Miraya Vargas (no city listed) was the second place female, with a time of 1:24:51, and Sierra Madre’s Trish Marshall was in third place among the women, with a time of1:25:01. The 46th running of the Mt. Wilson Trail Race, during the 104th anniversary year of the original in 1908, featured about 325 runners, 73 of them from Sierra Madre. The runner that came the furthest was from Atlanta, GA, and runners ranged in age from 13 years old to 84. 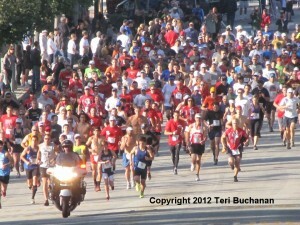 A big thank you to Teri Buchanan for letting me use her great picture of the start of the race. 3 Comments on "Jon Clark Wins 2012 Mt. Wilson Trail Race – Updated"
My apologies to Craig K. It appears I accidentally deleted your comment, which, if I remember correctly, praised the organization of the race? Please feel free to repost, and I apologize for the need to do so. The clock is right n the picture, looks like ~1:03 to me.